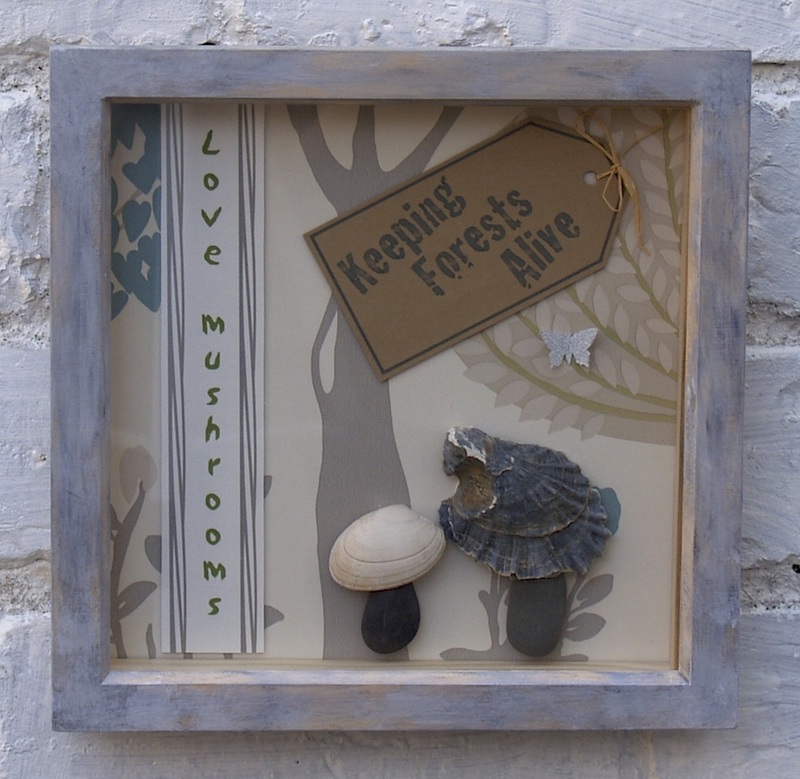 The hand painted and varnished natural wood box frames have a distressed look, in shades of grey; each measuring: 243mm x 243mm x 34mm deep. Viewable: 200mm x 200mm. Glass front panel. A bit of pebble and seashell art ... with a message ! Marjolein has produced this attractive and unique series of home decor items to remind us of some of the magical and mysterious aspects of nature. Currently, there are three basic styles available: STYLE A STYLE B and STYLE C. You can make your choice and Buy Now via PayPal, including your credit or debit card - see below. Please also note: as nature controls the exact shapes of pebbles and seashells there may be slight differences in appearance of pebbles and shells (where used) to those pictured below however, we will do our best to match them ! Some mushrooms can taste delicious, particularly when cooked with certain herbs and spices, whilst some mushrooms can cause your demise if eaten. Mushrooms are fundamental to the network that enables forests to exist, thrive and survive. Many mushrooms (fungi) play an essential [ecological] role in breaking down dead organic matter. 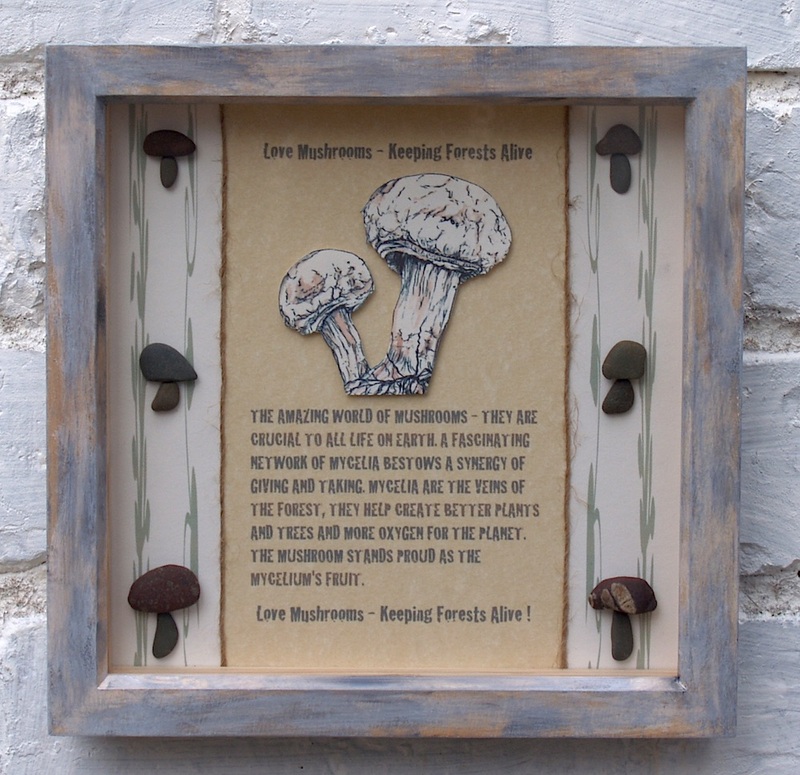 A mushroom is the fruit of mycelium - an underground network vital to life in the forest.. Perfect gift for the holistic thinker. 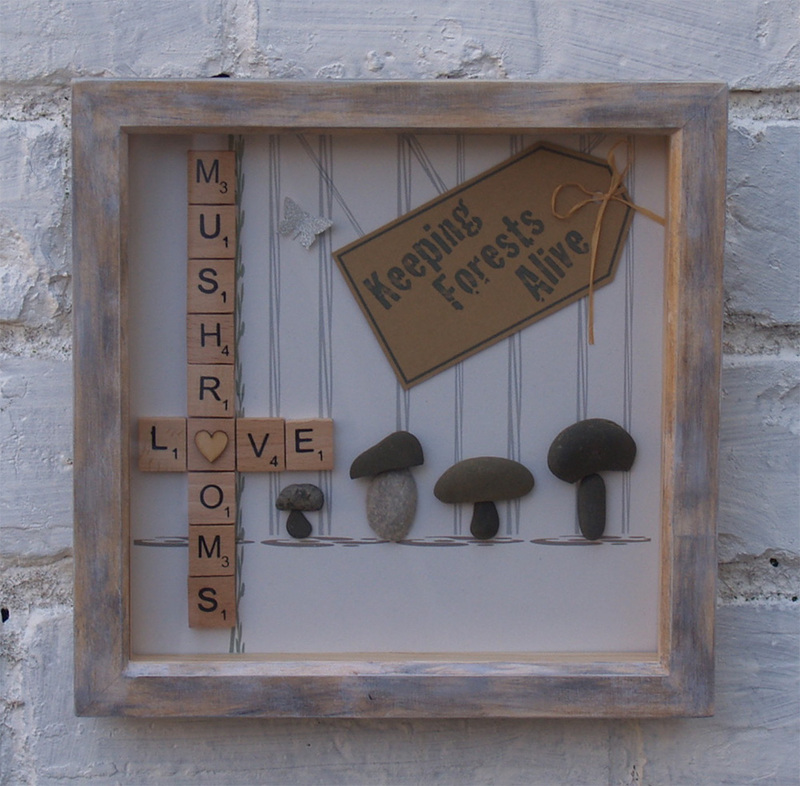 A pleasing decorative Item - Love Mushrooms ~ Keeping Forests Alive. If you wish to learn more about the magic and mystery of mushrooms it's worth viewing this remarkable Documentary, with Professor Richard Fortey - view the Documentary here ..